Journalists, public relations managers, marketing staffers, and anyone who tweets regularly knows that sending out 140-character messages is the easy part. Managing the flow of information from Twitter is not. 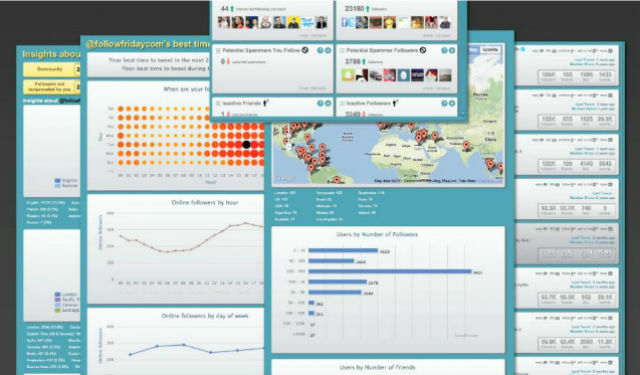 SocialBro is a Twitter analytics tool that is a huge time-saver. Whether you’re a Twitter fan or were forced to start an account to keep up with the times, SocialBro makes it easy to access information about your tweeps. Created by three software engineers based in Córdoba, Spain, the app already has 100,000 users, including big names like Google, CBS, and Greenpeace. Simplicity is one reason for its early success. The main dashboard shows you new followers, recent unfollows and offers useful tidbits of information like the people who are not following you back or whom you are not following back. This lets you add those who are following you, and unfollow inactive users. If you want to revisit the list of people you follow, the app shows you who isn’t really active on Twitter. “It’s something we plan to improve,” Javier Burón, cofounder and COO of SocialBro told IJNet. SocialBro is available in Spanish and English and offers a thorough list of tutorials for getting started. Currently, the company is in expansion mode. The founders plan to open an office in London in a couple of months, Burón said. Expansion to the U.S., where 20% of its users are located, will come soon. SocialBro is still in beta, and you can use it as a browser extension for Chrome or download the app to your desktop. Just synchronize it with your Twitter account and voilà: You are ready to become a Twitter ninja.